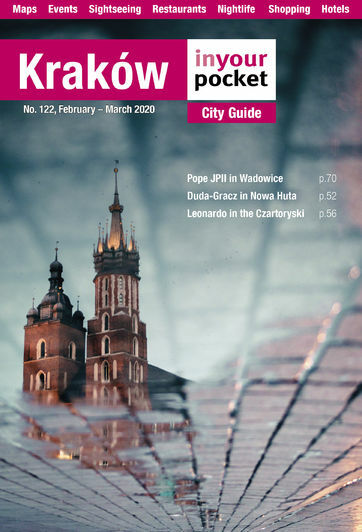 While there’s seemingly no end to the alluring architectural majesty and charm of a city like Kraków, it’s easy to forget or simply overlook the natural beauty of the region surrounding Poland’s ancient capital. The Tatra mountains – the highest peaks in PL – get their fair share of admirers about 100 kilometres to the south of Kraków, and rightfully so. 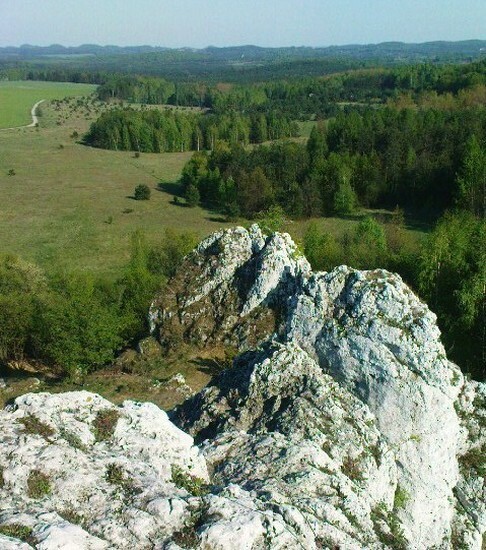 However, turn your compass north of the city and you’ll discover one of the most unique geological areas in the entire country. Covering about a 160km span along the border of the Małopolska and Upper Silesia provinces leading north west from Kraków to Częstochowa, the appropriately titled Kraków-Częstochowa Jura Upland is a stunningly dramatic and diverse expanse of standing limestone rocks, karst formations, cliffs, castles, valleys, streams and caves. 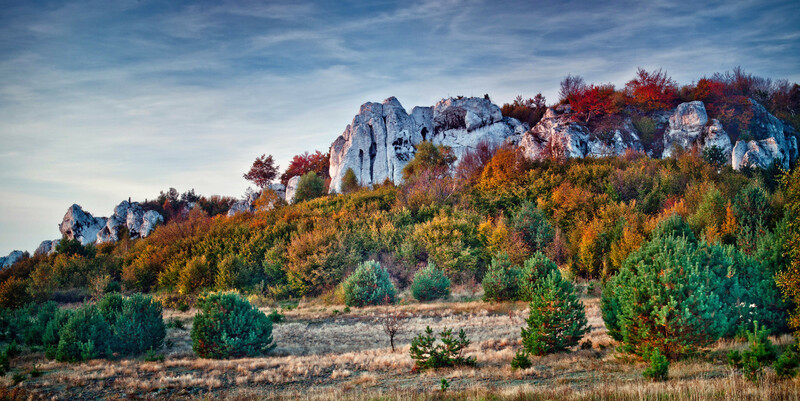 Treasured by botanists, geologists, zoologists, sportsmen and tourists alike, the Jura Upland is recognised as one of Poland’s most precious natural areas and protected as such – with eight official parks constituting an incredible 93,984 hectares, it’s the largest protected region in Poland. That’s a sizeable chunk of the map, and though the myriad of attractions – including numerous medieval fortifications and sanctuaries - may produce a nauseating optical effect on anyone looking to plan a route, fret not, that work’s largely been done for you here as we take a look at what makes the region special and give you our hit list of the highlights. 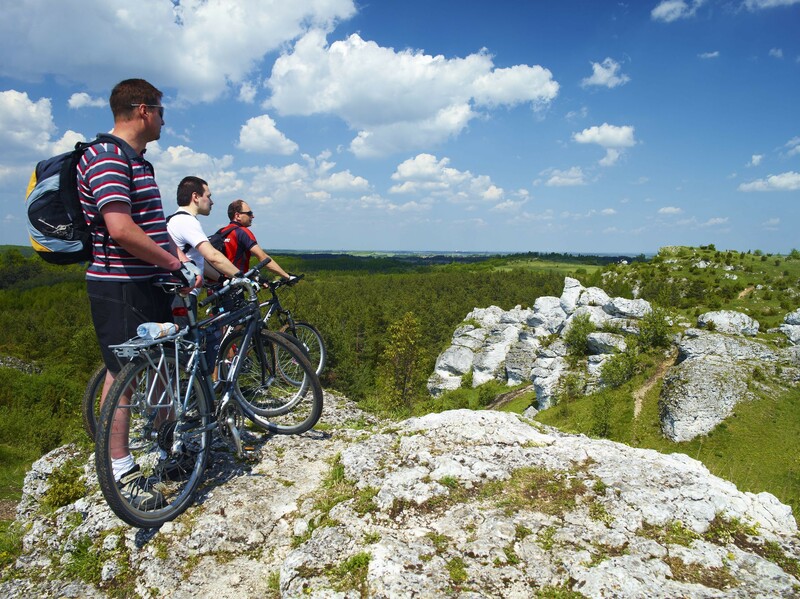 Commonly known as the Jura – or ‘Jurassic’ in English – the term aptly describes the terrain not only geologically but aesthetically. Literally prehistoric limestone formations known as ‘inselbergs’ give the topography a wild ruggedness that would serve well for the next Hollywood ‘Land of the Lost’ remake. 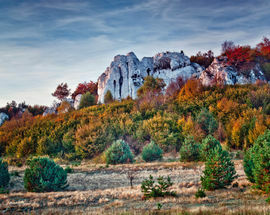 For those lacking geology degrees, an inselberg is an isolated rock outcropping, promontory or small bald mountain resistant to erosion; the word comes from the combination of the German words for island (Insel) and mountain (Berg), and though uncommon, is fairly rudimentary compared to ‘monadnock’ – the American Indian word used for this topographical phenomena in the US. Though limestone is actually extremely susceptible to erosion, the plethora of iconic inselbergs in the Jura were hardened by volcanic processes, thereby preserved as the surrounding stone disappeared over centuries of climate change, resulting in the ragged wilderness of ancient standing stone formations that characterise the region today. Rising 300-515 metres in altitude above the surrounding hills and valleys Jura’s beautiful and mysterious inselbergs provide fantastic views and photo opportunities, as well as being a popular playground for rock climbers. Due to the frequency of fissures, sinkholes and underground streams created by the irregular erosion of the terrain, the Jura is also home to over 900 caves (and the 19 adorable bat species that hibernate inside them). 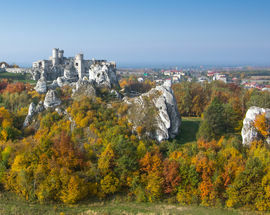 Further dramatising the landscape are a chain of castles built upon the region’s largest Jurassic limestone formations. Known as ‘Orle Gniazda’ (Eagles’ Nests), many of these fallen fortifications so closely resemble the rocks they were built from and built upon that it’s difficult to discern on first glance which monuments are man-made and which are natural. Totalling 25 across the Jura, the majority of these picturesque medieval strongholds date back to the 14th century when King Kazimierz the Great (1333-1370) set about creating a line of defence along what was then Poland’s western border. With Silesia being a part of Bohemia at the time and Kraków – the capital city - having been the focus of a raid by Bohemian king John of Luxembourg in 1345, the powerful aristocratic families of Poland aided the king in fortifying the region and into their hands the castles and surrounding lands were later passed. Through expansion and renovation many of them became stately manor homes of extreme decadence updated in Renaissance, Baroque and Gothic styles over the centuries that followed. The excess would prove fatal, however, with the Swedes swooping in and putting on a clinic in castle conquering during their devastating 17th century invasion. Sadly, subsequent partitions of Poland would ensure that they never returned to splendour and, with the exception of only a few - namely Pieskowa Skała (in Ojców) and Jasna Góra (in Częstochowa) – the Eagles Nests fell into ruin. Today their derelict remains are the primary attractions of the Jura. 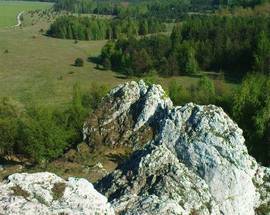 In the 1920s the ‘Szlak Orlich Gniazd’ (Eagles Nest Trail) was developed, drawing a line between the castles in a 163km recreational trail running from Kraków to Częstochowa. 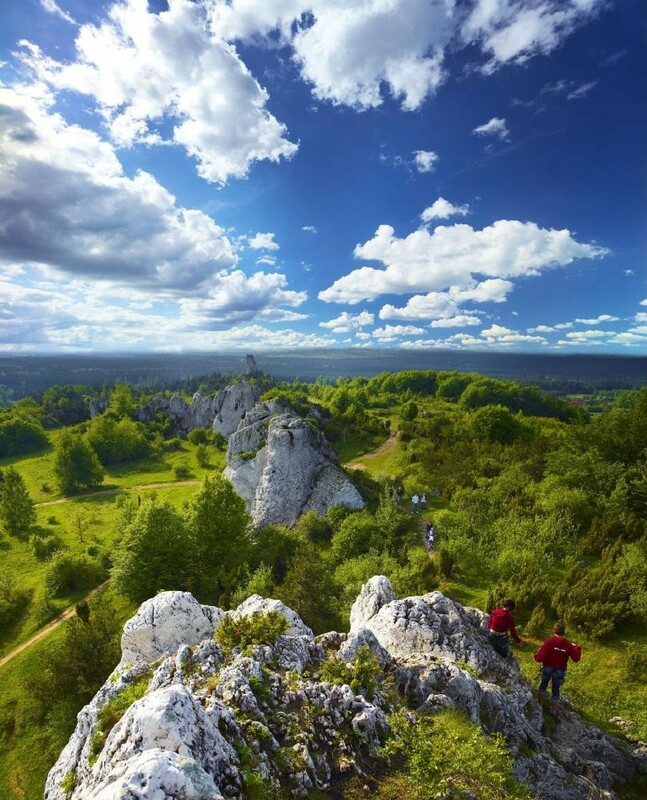 The first of its kind in Poland, today Szlak Orlich Gniazd is still rated the number one hiking trail in the country and has since inspired no less than 14 similar Jura trails which deviate from it slightly to take in different vistas, viewpoints and attractions along the way. 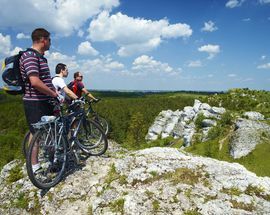 In addition to routes designed for rock climbers and spelunkers, specific cycling and horseback riding trails have also been developed. Szlak Orlich Gniazd and its twin trails are also an important pilgrimage route. Czestochowa’s Jasna Góra monastic complex is the most important pilgrimage site in Poland and the third largest Catholic pilgrimage site in the world. 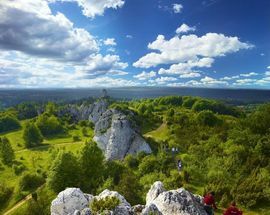 Connecting Poland’s cultural and spiritual capitals, thousands of people hike through the Jura annually to pay tribute to Jasna Góra’s miraculous icon the Black Madonna. For those (like ourselves) unable to spend a week or more making the trek in its entirety on foot, we’ve included the most unmissable sites below. Also organising tours of the Jura Upland. Please call a few days in advance.